Madden Industrial Craftsmen is looking to fill a grinder position in a manufacturing facility located in SE Portland. Candidates for this position will have experience with large and small parts, OD grinding and surface grinding. Barbara joined Madden Industrial Craftsmen in 1997 to work part-time during summer months as a Recruiter, and transitioned to be a full-time Recruiter in our Beaverton Office in August of 2000. 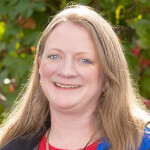 She is a graduate of Western Oregon State College (now Western Oregon University) and has worked in education, software publishing, accounting, and as an administrative assistant. Barbara is certified by the National Association of Personnel Services as a Certified Temporary Staffing Specialist. In her spare time, Barbara is active in her church, volunteers with several organizations involved in education, supports her sons in their various pursuits, and spends time with her grown children and six grandchildren.